Elegant Bee truly went above and beyond! My mother in law used Elegant Bee for flower arrangements for the rehearsal dinner, with the idea that we could reuse these the next day for our wedding. They were absolutely beautiful and Elegant Bee arranged pick up from rehearsal and brought them to the wedding venue the next day to set up. I had ordered bouquets/boutonnieres..etc from another florist and when they arrived, my bouquet was not at all what I wanted. Elegant Bee was there setting up the other beautiful rehearsal flowers, and offered to recreate my bouquet. They were truly a life saver and created the bouquet of my dreams. They also created a beautiful floral hair piece for myself! We would absolutely recommend Elegant Bee, as they did such a gorgeous job and were truly so incredibly helpful. The Elegant Bee was a DREAM to work with! I knew nothing about flowers (or planning a wedding) and based off of a few photos off Pinterest, they put together gorgeous arrangements and made the day so beautiful. After the consultation, I was provided with a detailed list of the arrangements (down to what flowers were in each arrangement) and the pricing of each, as well as how each could be repurposed moving from the ceremony site to the reception site (which their wonderful staff stuck around to move). Their familiarity with the other vendors in the area made coordinating a breeze (especially when I didn't have a dedicated coordinator). I can't recommend them enough! Made our day! Elegant Bee is the best of the best! Everything from design down to personability. Pattie makes you feel right at home and most of all she takes the worry out of your hands. Once my order was in, I knew it was going to be magical without a doubt. Her work is congruent with the latest trends, yet can be traditional too. She can basically create anything you want. She duplicated my pinterest requests to a T and did not disappoint. She asked for swatches of my wedding colors to make sure that the flowers and ribbons would match. Flowers were on time and perfect, perfect, perfect. Would not have done anything differently. My favorite arrangement was the eucalyptus swag on my welcome sign. I was so in love, I wish I could have kept it forever! I couldn't thank Pattie and her team enough for everything they did for our wedding and especially for her prayers and sweet thoughts. Thank you for treating us like family! The Elegant Bee is AMAZING and the perfect choice for any wedding. I don't know anything about flowers so this part of wedding planning was a little stressful for me. Elegant Bee was super easy to work with and they delivered on every aspect of the ceremony and reception. We had several different varieties of spring flowers and they incorporated deer antlers into several of the arrangements. It was absolutely beautiful and I'm still getting compliments from our friends and family. Don't look any further and go with Elegant Bee! 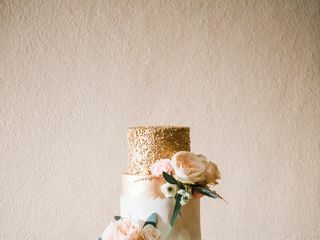 The team at Elegant Bee was the first to really “get” my vision for my wedding - and I can’t tell you how much that meant to me. I had a hard time describing exactly what I wanted because I hadn’t actually seen it done before, but they were patient and listened intently to my descriptions, allowing me to show pictures of aspects that I liked but that I couldn’t find paired together anywhere. 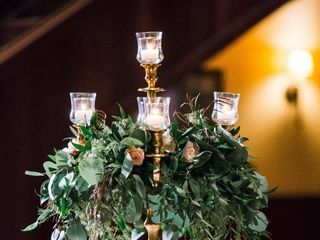 In the end - the insanely dramatic floral design combined with a sea of open flame candles created what was arguably the most important design element at our wedding. I owe so much to The Elegant Bee team, and would hire them all over again in a heartbeat. I also really appreciated their expertise when advising me on which candles to buy (based on quality and burn time) and working with me to match my intended design and budget. I couldn’t have asked for anything more!! Pattie and her staff did a beautiful job on my daughters wedding. The attention to detail was amazing. Amanda did an amazing job with my flowers. We had only talked over the phone as I live in a different city and was unable to come down to meet with her. But even with just a phone conversation she was able to figure out exactly what I wanted. The flowers were beautiful, fresh and colorful with gorgeous arrangements. On top of that, Amanda was well-organized, punctual and easy to contact - completely stress-free. My ceremony and reception were stunning thanks to the flowers. I couldn't have been happier! 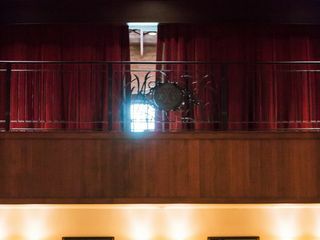 I highly recommend The Elegant Bee to anyone in the San Antonio area getting married. I still cant believe what an amazing job Elegant Bee did for my wedding! 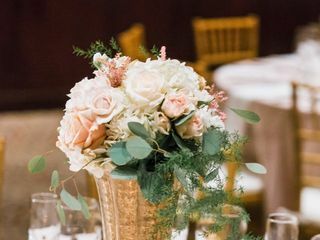 From the very beginning of wedding planning I had very high standards and expectations for the flowers and so I sought out a florist with experience and talent, and Elegant Bee was that and more. Amanda met with me twice at my request just to get the flowers just right and walked me thru the whole thing, she listened to everything I asked and even accomodated me when I wanted to tweak a few things very close to the wedding. At the ceremony, I could not believe how much work was put in by Amanda and the team to get everything perfect. The flowers were breathtaking to say the least! But what impressed me even more was that Amanda stayed well into the ceremony to transition my arrangements! Bottom line is Elegant Bee went above and beyond to create the flowers of my dreams. The Elegant Bee did the most beautiful job in the world with my wedding. It's been almost a month since I've been married and I still have people talking about the flowers. The did everything I asked for from the colors to type of style I wanted to have. They are very detail oriented and they order fresh flowers so the flowers look almost unreal because they are gorgeous! They would always answer my calls if I had questions and they had everything ready and set and picked up everything up afterwords. They are the sweetest people I have ever met in my life. You have to work with these ladies because they will literally make your dreams come true. I will never ever forget my wedding day because those flowers is what literally made the night. Elegant Bee I will forever be grateful to you all! Love love love. The Elegant Bee, and in particular Pattie, was an absolute dream to work with from start to finish!! They were there every step of the way and helped us bring OUR wedding day vision to life in ways we never thought possible. They truly put their customers first and you WILL NOT be disappointed in the quality and beauty of their end product!!! Our jewel- toned-rustic-country wedding theme was certainly a challenge and The Elegant Bee knocked it out of the ball park! 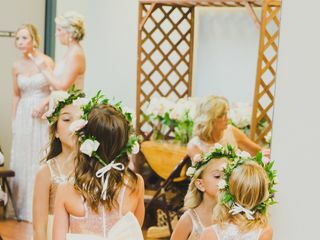 The breathtakingly beautiful floral displays with vintage country décor...they made our dreams come true and we will eternally be grateful for their advice, prayers, and service throughout the entire process. Elegant Bee went above and beyond at my daughters wedding. The flowers were spectacular. They had brought more than just the arrangements but ended up helping to dress up the cake and had extra pedals to line the path for the bridal party. Everyone raved over the flowers. It was just what we wanted. We had interviewed several different florist and they really were the only ones we felt that got our vision for the wedding. And did they ever. Perfection! Patti with the elegant bee is one amazing florist!! She is prompt in getting back with you and works with your budget and definitely makes the most of every dollar. I was so AMAZED at how beautiful Brittany's wedding was. Everything was PERFECT!! Thank you for you kindness and caring Patti. Highly recommend!!!!! You can not wrong with The Elegnat Bee. The flowers are beautiful. The people will work to make sure you are completely happy with their work. Pattie made us feel like she was not just a vendor but a friend. From the moment I met with Elegant Bee I knew I wanted them as my florist for my wedding. Elegant Bee listened to what I wanted in flowers and colors. I highly recommend Elegant Bee for your wedding. I knew the minute I met Patty from Elegant Bee they would be the florist for me. Initially I saw arrangements from previous events and the esthetic matched exactly what I was looking for. There were gasps as soon as anyone walked into the venue on our wedding day, the flowers were the first thing you'd see. Months later I STILL have friends and family raving about the it. My vision would not have come to fruition if not for Elegant Bee. I see others struggle under the weight of picking the perfect flowers, I’d do it again in a heartbeat! Even more important, I’ve made some friends for life. Thank you Elegant Bee! If you are looking for unique, creative and beautiful, check them out. In addition, they are wonderful to work with - very, very kind and patient. As a former wedding coordinator I've worked with some high quality florists, and I consider The Elegant Bee among the best. I was so impressed with the wonderful work they did for my son and new daughter-in-law. There were endless compliments from the quests!!! As a photographer and lover of color, our wedding flowers were super important to me, and I'm so glad I placed my trust in The Elegant Bee! I worked primarily with Amanda, who took detailed notes from our first phone consultation. She helped me figure out where we would need flowers, and she made helpful suggestions, such as repurposing the ceremony flowers for the reception. She listened closely to my requests and then translated my bride speak into flower speak (i.e., apparently "those little ball thingies" are actually hyperemicum, ha!) She was SO patient in dealing with my many requests throughout the 9 months of planning! And the finished product absolutely took my breath away. My bouquet looked even better than the Pinterest inspiration I had sent her. Everything was perfect. My personal favorite piece was the 32-foot floral garland that they wove by hand for our family-style dinner table. Our guests kept commenting on how beautiful everything looked! As an added treat, my husband and I finally met Pattie before the reception, and she was so kind to us! I can tell that a lot of heart goes into this business, and we feel lucky that her team was a part of our day! Pattie was the absolute sweetest and her flowers were STUNNING! We had to make a last minute change to a tent because of rain, and she created a surprise floral garland to drape the entrance and it just blew me away. She definitely went above and beyond to make me happy! The Elegant Bee did everything I wanted and so much more!! I had always wanted a very non traditional wedding. Very tropical with lots of colorful and exotic flowers and The Elegant Bee did not disappoint! Amanda was so great to work with. She knows everything there is to know about every kind of flower. There were so many flowers I had never heard of or seen before that she picked out for the various arrangements and they were absolutely beautiful. My bridal bouquet was more amazing than I could have imagined. The table arrangements were massive show stoppers. They really helped fill up the space of the huge room they were in, and the room smelled amazing!! Everything they did was better than anything I had pictured in my head. I am so glad that I picked them to be apart of my wedding. 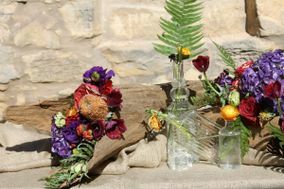 The Elegant Bee created beautiful flower arrangements for my wedding! Pattie and Amanda are so kind and wonderful to work with. Their flower arrangements are high-quality and beautifully designed. I highly recommend The Elegant Bee. Patti & Amanda were absolutely wonderful from the beginning. 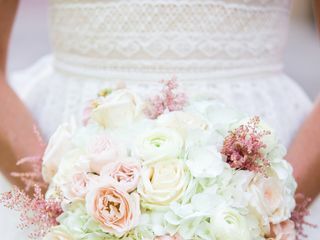 When we first met with Amanda, she had gone through my pinterest and pointed out how she had seen the evolution of what I wanted in my flowers from before I was in engaged to our meeting point. I felt like she was reading my mind as she described what she saw and I absolutely trusted everything she came up with. 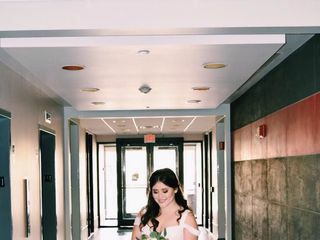 I loved that her quote came with the names of every flower for each bouquet - we were able to look up every flower and really envision what they would look like. And boy did they deliver. I wish I could attach a picture to my review because our flowers were stunning. Since our wedding I have had probably about ten people compliment me on how gorgeous our flowers were. Pattie was amazing! I was so happy with how our flowers turned out. People first notice those in any pictures they see. Pattie took some of our Pinterest inspiration, our color palate, and the flowers we loved, and created a really magnificent display. She and her team worked so efficiently to create, set up, and move the florals throughout the event. It was so beautiful and really completed the entire celebration! I would 100% recommend Pattie to anyone in the Boerne area looking for a florist.